Long haul flights are probably not everyone's cup of tea, but this one takes you to one of the most fascinating countries on the planet. NZ0001 is Air New Zealand's first flight number. NZ1 or ANZ1 is a daily flight between London-Heathrow Airport and Auckland, with a mid-route stop at LAX, Los Angeles International Airport. 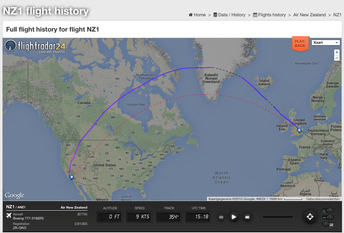 Flight NZ2 from London has a stop at San Fransisco International Airport. From Auckland Air New Zealand offers an extensive range of domestic flights to practically every corner in the country. Scale model of the All Blacks Boeing 777. 1. Find the most recent flight of NZ0001. Zoek de meest recente vlucht van NZ0001 op de route London-Auckland. (On this website also given as NZ1 or ANZ1. 2. In aviation the term 'sector' is in use to denote the different stages of the flight. On NZ1 there are 2 sectors. b. Calculate the average speed of this aircraft at cruise level for both sectors. c. Calculate the average height at cruise level for the two sectors. Example of details of the NZ1 flight on Wednesday 10 June 2015. 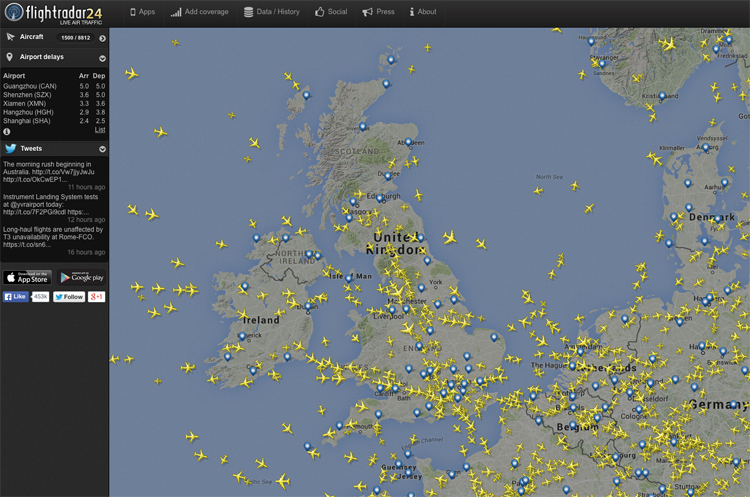 Source: FlightRadar24.com. Speed and height details of Flight NZ1 on 10 June 2015. 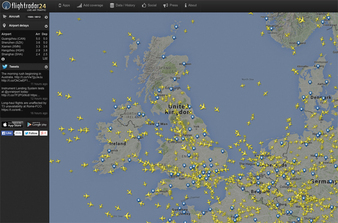 Source: FlightRadar24.com. 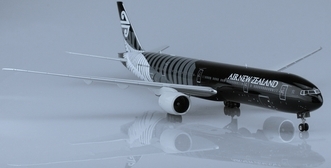 Titelphoto: Artist Impression of the "All Blacks" Boeing 787 Dreamliner. The first real aeroplane for Air New Zealand has been delivered recently.